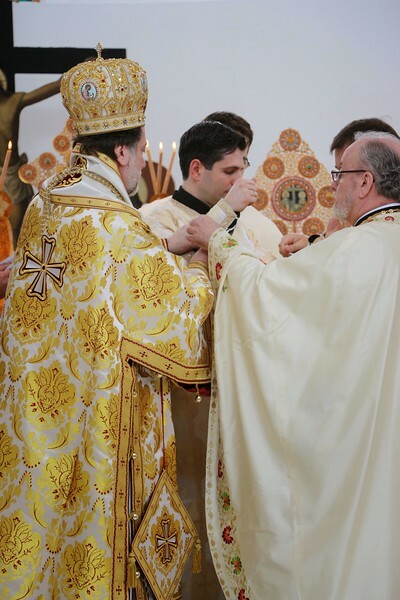 On Sunday, March 2, 2014, His Eminence Metropolitan Nicholas ordained his lay assistant Alex Radulescu as a deacon. The ordination took place at the Sts. Constantine & Helen Church in Westland, Michigan. His Eminence was assisted by: Fr. Teodor Petrutiu (Proistamenos), Fr. Laurence Lazar, Fr. Ciprian Streza, Fr. Anthony Cook, and Fr. Dan Hoarste. Dcn. Alex will serve Metropolitan Nicholas in his office.